The Christmas Chronicles is the most magical Christmas movie of the season, and I’m here to tell you why. Netflix has been slaying the game, coming up with some great original movies and TV show ideas that I just can’t stop watching. From spooky shows like The Chilling Adventures of Sabrina The Teenage Witch to quirky shows like Fuller House, I sat on my couch impatiently waiting to see what kind of Christmas movies they would push this year. As a massive Harry Potter fan, I, of course, jumped off my couch with joy upon seeing that the same creators who brought us Harry Potter and the Sorcerer’s Stone were bringing us a Christmas movie. I knew right away that I had to watch it, so the very moment The Christmas Chronicles was released, I pointed my remote at the television and pressed play. I loved this movie so much that I had to go and watch it again a second night in a row. Tim Allen is a tough man to beat, seeing as he was the original Santa Clause of my childhood, but Kurt Russell really stole my heart with his performance. A Santa who is realistic but shows how he uses his magic to deliver the toys gets an A+ in my book. I found his performance enlightening, believable, and totally hip. Just look at that smile and those fabulous locks of hair. Looking like that, he could convince anyone that he is a hip, modern Santa. One of the most prominent features of the film is the fact that St. Nick feels quite entitled. He tries to convince everyone of who he really is so he won’t get thrown in jail and have to pause his Christmas duties. And he’s obviously willing to go to drastic measures to save the holiday and make his Christmas deliveries — even stealing a car, driving recklessly, and kidnapping a couple kids. The film also points its finger at the precautions of assuming things. In this rendition, St. Nick (or Santa Claus) is not the traditional, large jolly man that chants “Ho, Ho, Ho” as he’s riding away in his sleigh. He is, however, a physically-fit individual who performs songs in jail to get away with charges, steals cars, and uses magic to go down people’s chimneys. Making assumptions only causes the citizens of Chicago to question his identity. Although Russell did a phenomenal job with the part, he’s not the only great thing about this movie. We get to see some fluffy adorable elves that speak “Elvish” all while standing up for themselves, protecting Santa and his workshop, and working together as a team to save Christmas. Just look at how adorable they are! Santa’s elves are so unique that they really helped bring out the magical appeal in the movie. They don’t look like the typical dwarfs with pointy ears but instead seem to be a re-imagined animal-like counterpart. The Christmas Chronicles would not have been this magical without them. Lastly, the movie is magical because of a sibling reunion. Sister/brother pair Kate and Teddy lose their father, a firefighter, before Christmas, and each mourns him in their own way — Teddy by hiding his emotions and dabbling in crime and Kate by showing her emotions. Kate bribes Teddy into staying up and setting traps in order to catch Santa and see him in real life, and that’s the beginning of the change between them. Teddy’s belief in Santa is tested, but then he finally discovers the truth that Santa’s actually real. I enjoyed watching their journey with Santa Claus, and for that reason alone, I would say that The Christmas Chronicles earns the title of the most magical Christmas movie this season. 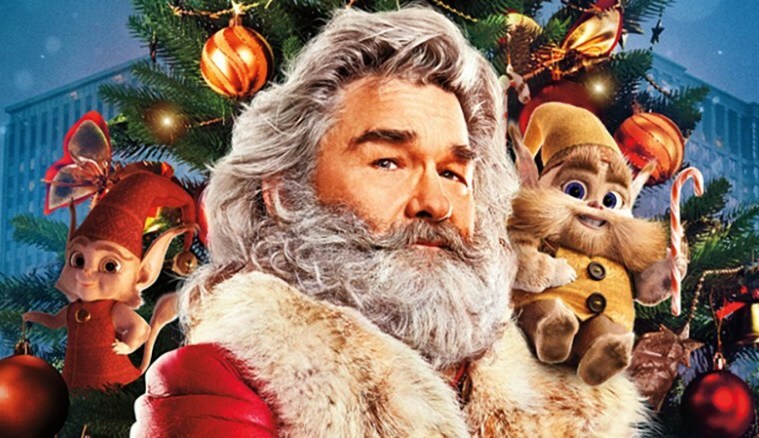 What are your thoughts on Kurt Russell’s performance as Santa Claus? Did you feel that he was truly magical? Tell us your thoughts in the comments below! In case you missed it, here are the nominees for the 2019 Golden Globes!